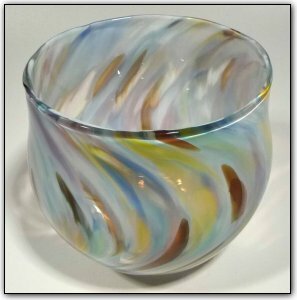 This multi-colored bowl features shades of yellows, topaz, blues, purples, pinks, and whites. There are also areas of transparent glass that fit perfectly between the colors. Make sure to zoom in to see the detail!